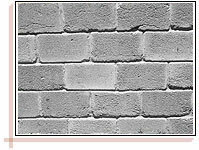 Sand Stone Bricks are the molded rectangular blocks used as building material. Bricks are the best option to lay hard surface pavings. Sandstone bricks are used for both walls as well as flooring. The walls of the sandstone bricks need not be painted and are quite hard, compact, fine, possess good compressive strength and low absorption property. Sandstone bricks are traditionally associated with the images of light browns and soft ochres that give a general impression of some cathedral or public building, but sandstone bricks are also available in various other colors. The availability in unusual color adds distinction to internal and external paved areas. Combination of various colors is also used to impart an altogether a different look.